Google's working on a midrange Pixel, you say? Of course it is. And that's almost certainly not all. Google's Pixel phones have plenty of good things going for 'em, but they've also always had one pesky limitation: a lack of diversity, both in price and in style. For these phones in particular, that can sometimes be a tough pill to swallow. If you want an optimal user experience on Android, after all — including the presence of timely and reliable software updates for an extended period of time (something that's important on numerous levels) — well, they're pretty much your only option. The problem, though, is that if you don't want to spend $650 on a smartphone, you're basically out of luck. The Pixel is positioned as a premium, flagship-level phone, and it's priced accordingly. Whenever the Pixel comes up, that's always one of the first things I hear in response: "Great, but..." — fill in the blank: "I'm not about to spend $650 on a phone," "I want a phone that has some other hardware feature," or "Google isn't even selling those in my country." Well, good news, gang: Coming up on two years into the Pixel line's existence, it looks like some of those concerns are about to be addressed. According to a report out this week from the Economic Times, Google is working on a "mid-range Pixel smartphone" that could launch as soon as this summer. The focus, at least initially, will apparently be on "price-sensitive markets" like India — but it's hard to imagine this saga ending there. For anyone who's been watching Google's steady expansion into the role of hardware manufacturer, in fact, the advent of a midrange Pixel phone should come as no big surprise — nor should the subsequent steps that seem likely to show up before long. From the get go, the Pixel has been much more than the sum of its parts. Google may be selling a smartphone, but what it's really doing is selling the Google ecosystem in a phone-based form. It's selling a software-centric user experience — one that gives you advantages no other device-maker within Android can match, and one that simultaneously gives Google advantages no other device-maker within Android delivers at that level. Think about it: Google's underlying goal with Android has always been to get you online and using its services as much as possible. Nowadays, getting you hooked on Google Assistant (in all of its incarnations) has become the company's core focus. It's something I've called the "post-OS era" — an era in which the question of what operating system you use takes a back seat to that of which virtual assistant you allow into your life (and it's no wonder why). But increasingly over time, Android device-makers have been pushing Google services — including Assistant — out of the spotlight in order to promote their own apps and services instead. And for Google, that's become a problem that's increasingly difficult to ignore. At its core, the Pixel was designed to "fix" Android, from Google's perspective — to provide a vessel for the platform in which Google's vision and its services can take center stage and shine. Google's made no bones about this. 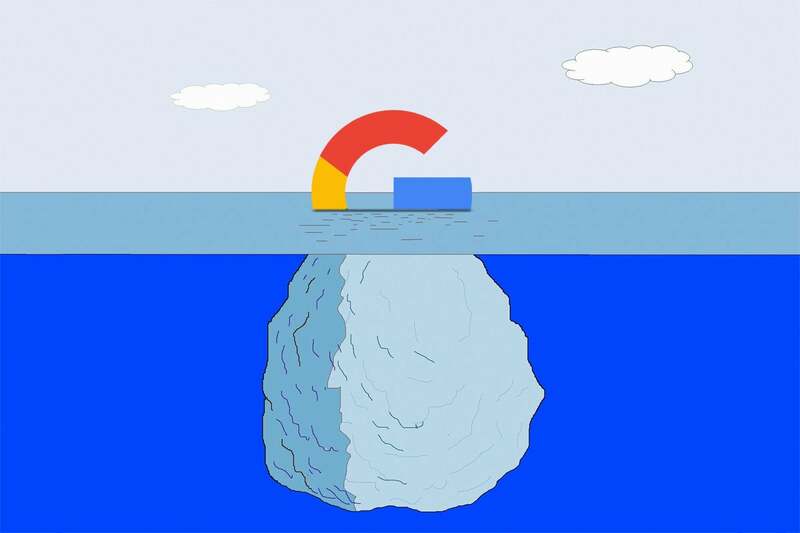 And ultimately, it's a mutually beneficial arrangement for both Google and for you: You get the best-in-class setup the "full Google experience" provides, while Google gets all the business benefits that come from having you fully committed to its services. What's the point of all this discussion, you might be wondering — and why the wild hayride are we getting into it now? The answer is simple: Of course Google wants to expand beyond a single pair of high-priced Pixel models. Of course the company has always intended to offer more affordable "Google experience" options. And of course it makes sense for it to focus initially on India, where smartphone growth is exploding and expected to continue increasing at a significant rate (unlike in the U.S. and much of the rest of the world). So why didn't Google just offer a variety of Pixel models out of the gate? Well, the reality is that the company had to start somewhere — and as we've seen, selling and marketing even a single set of self-made phone models has proven to be easier said than done (to put it nicely). Launching the Pixel program with a full range of options likely would have been an all-out disaster. That's why Google has thus far been relying on partners from its Android One program to fill in the gaps and offer a certain degree of Pixel-like benefits in more diverse and affordable forms. Underdogs like Nokia seem eager to take on that role and provide customers with "Google experience" devices that offer respectable levels of post-sales support. But Google clearly has grand ambitions here — ambitions that are much larger than a single set of self-made flagships. And even with Android One in the picture, it only makes sense that the company would want to expand its own line of holistic smartphone options and try to gain a broader level of control over how Android is experienced (while still allowing third-party players to offer their own Android-centric alternatives, of course — a clever way for the company to have its cake and eat it, too). The question we should be asking, then, isn't if a midrange Pixel phone will really come to fruition. It's how long it'll take for that device to become available everywhere — and how long it'll take for the next new model, either at another price point or with some other sort of form-oriented distinction, to show up after. An announcement of a midrange Pixel in and of itself may not seem like an earth-shattering development, but like so many other things in the Google universe, you have to see the forest for the trees. You have to realize that this'll represent the beginning of a whole new phase in a massive, multipart effort — and you have to consider the broader canvas that's slowly but surely being filled in, one little corner at a time.